In the previous article, we covered what the roof deck was and what it accomplishes. In this article, we will cover many of the water proof solutions that you can use to make sure your home will be resistant to the elements. This is a waterproof deck system that was designed with plywood substrates in mind and has been around since the 80’s. This will normally be used for residential roof decks where plywood decks are common. The system utilizes a metal lath as the backing material. This material is a 2.5 galvanized metal lath and a polyacrylic emulsion base to keep water out. You can picture the metal lath backer as a kind of chain link fence structure that reinforces the base coat applied to the deck. One of the advantages with using a metal lath backer is the ability to combine with a large variety of products that are available to the market. With the interlocking structure and durability of the galvanized metal, it creates a framework so that the roofing company can easily attach surface materials. Other systems might use a polyurethane to keep things protected, but this requires several passes and many layers applied directly over the surface with a roller. If there is going to be a lot of foot traffic across the roof deck, a polyurethane system could end up cracked and fractured in places. Another solution that people will use is a cement resin that is applied to the plywood deck to weatherproof the home. Once again though, this has the same disadvantages of the polyurethane system and will require many layers to be able to handle the load of inspectors and service people walking across it. The Pli-Dek systems will end up having more durability in the end when compared with both polyurethane and cement resin mixes. By applying the metal wire backer, you can also use an emulsion base coat that will create a strong and even surface. Unlike other options, when you are dealing with galvanized metal, it can withstand a lot of wear and tear. If you know your roof is going to require a lot of maintaining and a regular flow of people using it, go with the strongest option so that you can be sure things will not be cracking underneath the surface. Metal lath is also more affordable when compared with other solutions and is easy to install even for people that may be new to the system. Taylor Made roofing out of the Jacksonville area are experts in the Pli-Dek system. They have been using it for years, relying on its durability and ability to handle a lot of pressure. You can visit them at www.taylormaderoofing.com and speak with an expert that can explain the installation process in detail along with how easy it is to maintain such a system over the years. This group is very familiar with what Pli-Dek is and what it can do. 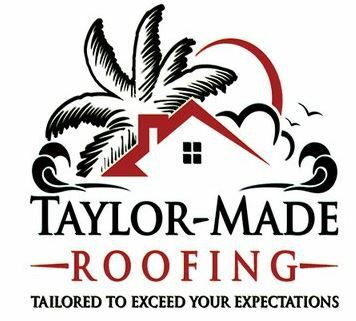 Consider it for your next roofing project along with Taylor Made.